Halloween:Trick or Treat is rated 3.7 out of 5 by 49. Rated 5 out of 5 by c_tiger from Pure Fun I love this game and played it at least 15 times. Extra fun to play around Halloween time to dive even deeper into the Halloween spirit. My only issue is it needs to be a little more 'scary'. It's almost too 'kiddie' for me, but a lot of fun to play. Rated 5 out of 5 by linustate62 from Simple Halloween Fun ! 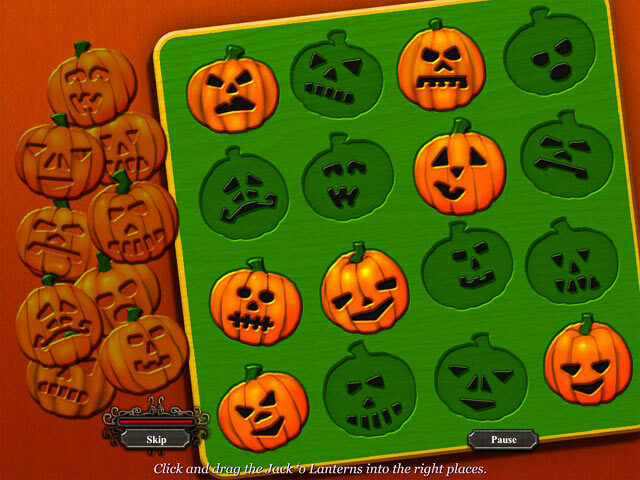 This is my favorite Halloween based H/O game simply because its fun (not morbid) and uncomplicated. The music fits the atmosphere very well and its a great way to relax and get into the Halloween spirit. I play it more than once every October. I wish there were more simple and fun games like this. Rated 5 out of 5 by scrcrow from Casual Arts Gives Another Great Game! I've known Casual Arts as games for Christmas, but this one is Halloween. If you're looking for good character graphics, don't hold your breath. However, if you've played Casual Arts games before, it's not shock. The HOS and puzzles are good. The game stays in Halloween theme, which is nice. It's good for kids 10+, but I'm an adult and enjoy it. The game doesn't take all that long to play, but you play again as a different character and things move around. 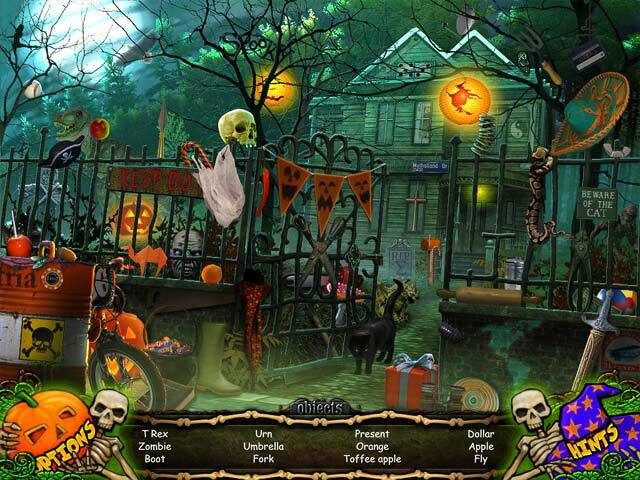 Rated 5 out of 5 by moosish2 from All I want in a Hidden Object game! Exactly as my title says, this game gave me everything I look for in a hidden object game. It consists mostly of hidden objects (!) hiding among various colorful, busy Halloween-themed scenes. Finding the objects was neither too easy nor too hard. There is always a "Hint" option if you need it, and you can also "Skip" any of the mini-games that show up, if you don't like them. Please note that I played this game in the "Relaxed" mode; apparently, there is also a harder, timed mode - which can definitely make it more of a challenge. The story was cute - nothing fancy or super-scary or anything. In fact, I would rate this a "G" as long as you don't mind little kids seeing possibly scary pictures. Anyway, it gave me lots and lots of lovely scenes with lots of hidden objects, and now I'm looking forward to playing the follow-up game in this series. Rated 5 out of 5 by Poipoi15 from Really fun, but small items to find! Great HO"S small though, mini-games are fun, and graphics and sounds, really fit the season. 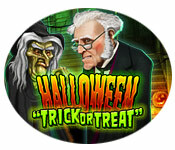 Trick or Treat 2 is even smaller items to find. Did not buy that one, very hard on eyes even with my glasses. Happy Halloween! Rated 5 out of 5 by sparklefish777 from Spooky and Fun! 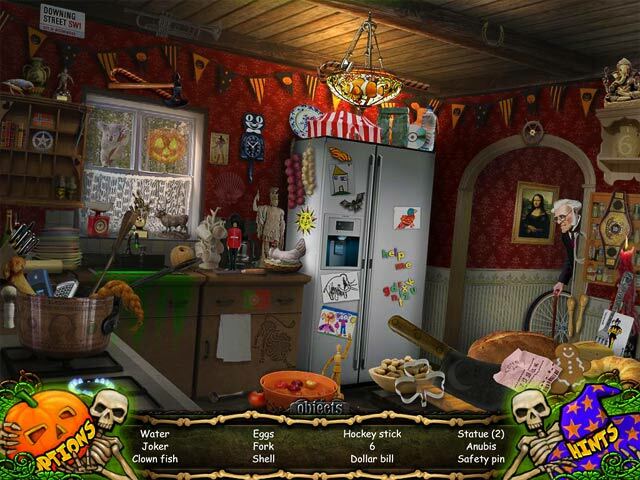 Great game with lots of hidden object scenes. I don't really like HOGs where I have to navigate through and find keys, puzzle pieces, doors, etc. I simply like pure hidden object scenes, so this is perfect! Very colorful and festive art, too. Love it! Rated 5 out of 5 by sashasabre from Fun! While it's true as some reviewers have said, that the puzzles are easy, I actually enjoyed the ease of it. The graphics were good and very festive. It's a game designed for younger players, but I enjoy playing it because it's fun and I still found the hidden object portion challenging. I only wish there were more fun theme Halloween games like this one. I would recommend this game for some seasonal fun. Rated 5 out of 5 by VOLCANOGIRL from A very good Halloween game Fun game for kids of all ages and for grownups too.If you like hidden object levels after hidden object levels with a bit of a Halloween twist,this is the perfect game for you.Hint button fills up very quickly and the puzzles are not too hard and not too easy.There were a few of the puzzles that were hard and I had to skip but,all the others I could complete.Collect the candy canes for extra points and go to the options menu to change some things.All of the scenes are filled with fun Halloween items and candy canes.my favorite puzzle was when you had to match some Halloween items with the costume they belong with.Very fun game.This is a buy for me.